What NHS support is available for low vision? A visit to the opticians is a good place to start. If they find a problem, you'll be referred to hospital to see an ophthalmologist (eye doctor). Your GP will be kept informed, and will give you extra support and advice if you need it. If the eye doctor finds that your vision can't be improved by glasses or contact lenses, or medical or surgical treatment, you may be referred to a Low Vision Clinic. At the clinic, staff can advise you about managing at home, getting out and about and help with reading and writing. 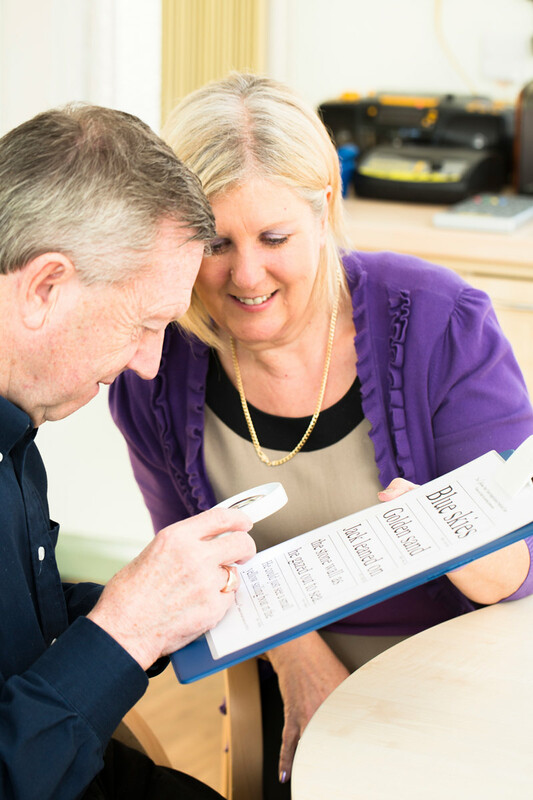 They will also assess you to see if you are eligible to be registered as partially sighted or blind.